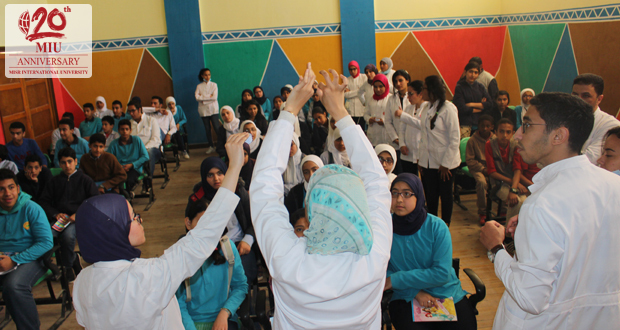 Misr International University always works on community service projects. 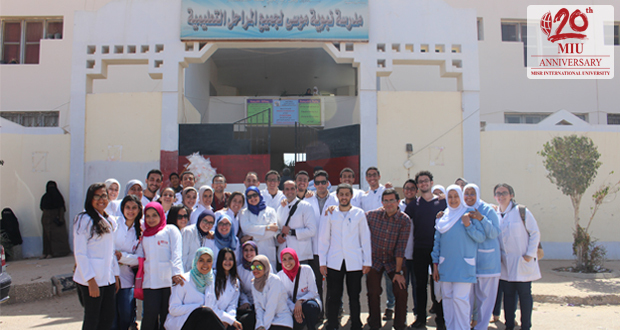 MIU’s Community Service and Environmental Affairs Committee, in collaboration with the Oral Medicine Department, organized a visit on Thursday 10th March, 2016 to Nabaweya Moussa School in Al-Shorouq City. 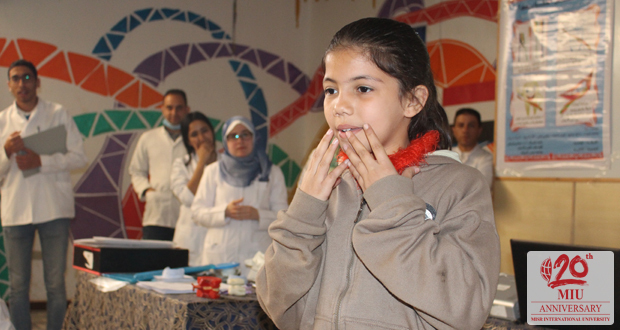 A total of 60 preparatory stage students were involved in this activity. Intra- as well as extra-oral examination were performed by fourth year students under the supervision of the Oral Medicine Department staff members. Infection control measures were applied during the examination. Each student received a card indicating his/her oral condition status and treatment needs (if any).